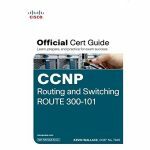 Cisco CCNA Routing and Switching is a comprehensive package for the latest CCNA exams.includes all essential topics for ICND1 100 - 105 , ICND2 200 - 105 and CCNA 200 - 125 exams.This reference guide will help you master the concepts and techniques that will enhance the possibilities of clearing the CCNA Routing and Switching certification exam. 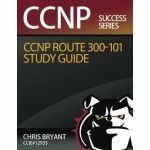 Points Covered in this book were EXPLAIN TCP/IP LAYERS and PROTOCOLS , Manage a Router using Cisco IOS , Configure VLANs , Configure different routing protocol on a Router , Create WANs and Configure WAN Protocols. 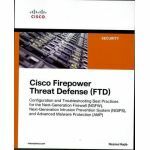 This is the definitive guide to best practices and advanced troubleshooting techniques for the newest versions of Cisco’s flagship Firepower Threat Defense (FTD) system running on Cisco ASA, VMWare ESXi, and FXOS platforms. Anthony Sequeira (CCIE No. 15626) began his IT career in 1994 with IBM in Tampa, Florida. He quickly formed his own computer consultancy, Computer Solutions and then discovered his true passion–teaching and writing about Microsoft and Cisco technologies. 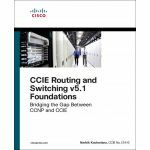 CCIE Routing and Switching v5.1 Foundations addresses every segment of the CCIE Routing and Switching Version 5 blueprint. 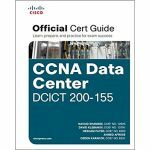 Chad Hintz, CCIE No. 15729, is a Principal Systems Engineer for the Cisco Commercial East Area focusing on designing enterprise solutions for customers around the Cisco data center technologies. He also holds three CCIEs: Routing and Switching, Security, and Storage. He has more than 15+ years of experience in the industry and has held certifications from Novell, VMware, and Cisco. 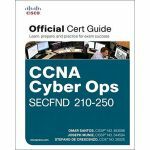 Navaid Shamsee, CCIE No.12625, is a senior solutions architect in the Cisco Services organization. He holds a master's degree in telecommunication and a bachelor's degree in electrical engineering. 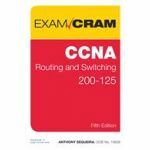 He is also a triple CCIE in routing and switching, service provider, and data center technologies. Kevin Wallace, CCIEx2 No. 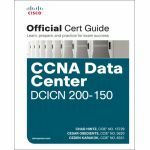 7945 (Route/Switch and Collaboration), is a Certified Cisco Systems Instructor (CCSI No. 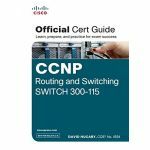 20061) and holds multiple Cisco professional and associate-level certifications in the Route/Switch, Collaboration, Security, Design, and Data Center tracks. With Cisco experience dating back to 1989, Kevin has been a network design specialist for the Walt Disney World Resort, an instructor of Cisco courses for Skillsoft, and a network manager for Eastern Kentucky University. David Hucaby, CCIE No. 4594, is a lead network engineer for the University of Kentucky, where he works with a large healthcare network based on the Cisco product lines. David holds bachelor’s and master’s degrees in electrical engineering from the University of Kentucky. 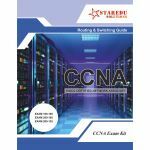 He is the author of several Cisco Press titles, including CCNA Wireless Cert Guide, Cisco ASA, PIX, and FWSM Firewall Handbook, Second Edition; Cisco Firewall Video Mentor; and Cisco LAN Switching Video Mentor. David lives in Kentucky with his wife, Marci, and two daughters. Caught in the crosshairs of “Leadership” and “Information Technology”, Information Security professionals are increasingly tapped to operate as business executives. This often puts them on a career path they did not expect, in a field not yet clearly defined. 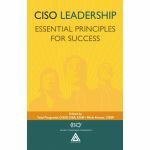 IT training does not usually includemanagerial skills such as leadership, team-building, communication, risk assessment, and corporate business savvy, needed by CISOs. Yet a lack in any of these areas can short circuit a career in information security. Jon Buhagiar, CCNA, MCSA, MCSE, N+, A+, BS/ITM, is Supervisor of Network Operations at Pittsburgh Technical Institute. In addition to teaching, he has been creating course content for the past 17 years.